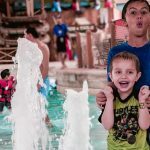 In my parenting tips roundup, I shared a story about my little one throwing up in the car on the way to Great Wolf Lodge and shared one of my favorite tips for preventing car sickness. But let’s face it, mishaps in the car can and will still happen no matter how hard we try to prevent them. That’s why, I was so excited to learn about Tot Squad! I met Hayden from Tot Squad at a Fall Festival in Mosaic District in Virginia. I first stopped at the table because I was intrigued by the name. Then I learned about their services and was hooked! I knew I had to share what they can do! When’s the last time you cleaned your stroller or car seat? I mean REALLY cleaned it? I don’t know about you, but mine don’t usually look brand new. Have you ever checked your car seat cleaning guidelines? Did you know that some cleaning products could compromise your car seat’s effectiveness? That means that some cleaning products could cause your car seat to NOT work in an accident! 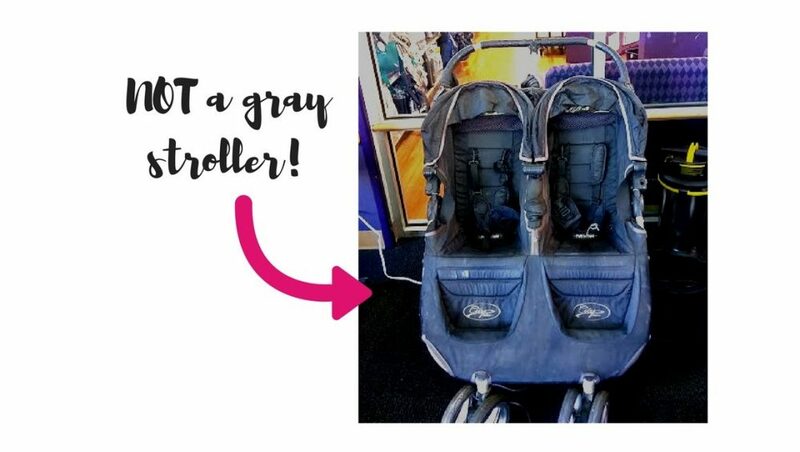 Are you expecting a baby and need to “dust off” a car seat or stroller, or plan to get one second hand? 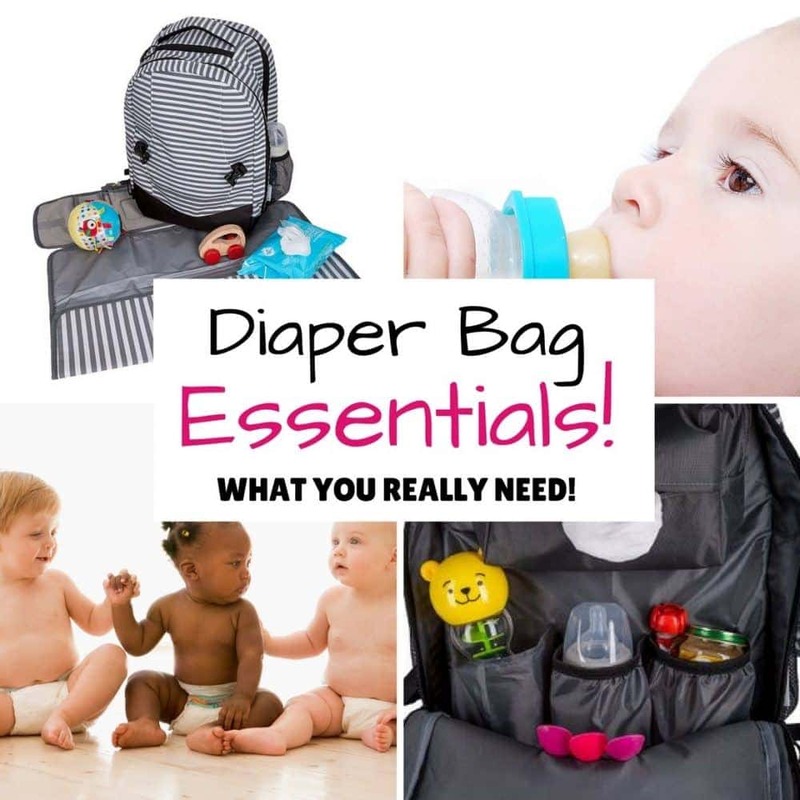 Have you considered what could have accumulated on the gear that could cause your little one to have an allergic reaction or worse? That’s where Tot Squad comes in! They setup shop in convenient locations like Babies R Us, indoor play areas and playgrounds. 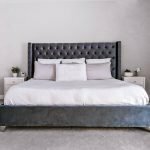 You just check their calendar of events to see when they are going to be at a location that works for you, schedule a cleaning, and then drop your gear off while you run your errands or let your kids play! When it’s done, you pick it up and go about your day! If that weren’t convenient enough, there are also lots of other perks! #1: They only use Non-Toxic cleaning products from The Honest Company! If you’re a regular reading of my blog, then you already know that I’m a huge fan of The Honest Company. It’s the only company I’ve come across that is non-toxic, smells great, is super effective, and doesn’t require extra elbow grease! 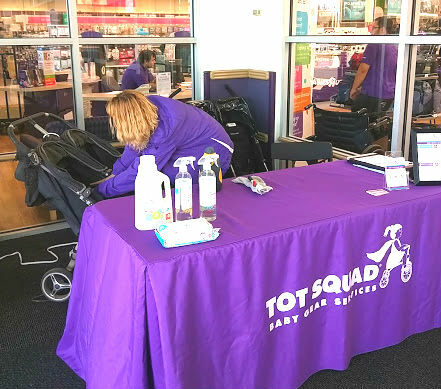 I love that Tot Squad uses their products to clean baby gear! Sure 409 might do wonders to clean a really dirty stroller, but do you really want your kid to sit in that? #2: They put safety first! Tot Squad follows manufacturer guidelines to ensure that the safety of the gear isn’t compromised. Car seats especially are designed to be extremely effective and reliable under extreme conditions. Did you know that certain cleaning products can actually cause a car seat to fail in a car accident? Why take that risk? Tot Squad makes sure to follow their guidelines so that the car seat will still hold up and do its job in an accident! 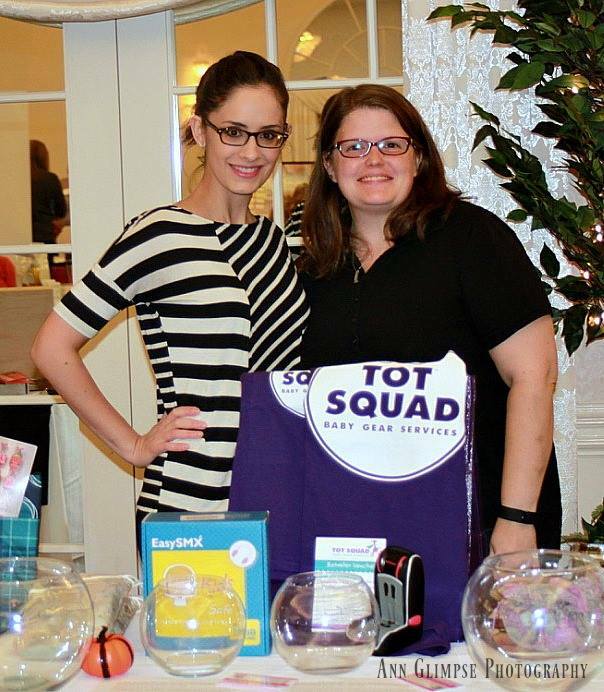 #3: Tot Squad goes where you go – or where you are! They operate daily at different locations around town. Chances are they will be somewhere that you plan on going. You can check their calendar to see where they will be next and just drop off your items whenever it’s convenient! If you don’t find a date and time that works for you or you have lots of items to clean, Tot Squad can come to YOU! #4: They take safety VERY seriously! I personally have NO idea how to install my kid’s car seats. None. Not even a little. I can’t take it apart and put it back together either. (Actually, I have a hard enough time taking it apart…). To have someone on their staff who can take care of that for me is a huge plus! 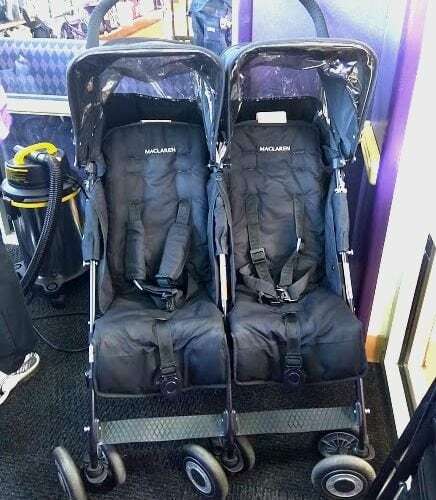 I’ve mostly spoken about car seats and strollers, but they clean so much more! It seems to me, that if a baby or kid uses it, they can clean it! 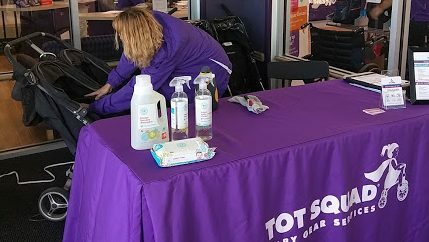 A few weeks ago, I asked Tot Squad if they’d partner with me and donate a cleaning package and some goodies to benefit a fundraiser to support Alzheimer’s research. Hayden didn’t miss a beat and immediately said yes! Here’s a picture of me with their really generous gift at the raffle! When I stopped by one of their mobile locations to pickup the prize on my way to the raffle, I got to meet Heather and see her in action! She showed me the process and let me witness her at work. It was really amazing to see how thorough she was and how she took pride in her work! I didn’t know that someone could be in such a good mood while cleaning. I can’t wait to bring my car seat in! and here’s a stroller she had JUST finished working on! It’s absolutely spotless and she said it started out way worse than the one pictured above. These pictures don’t do her work justice! The stroller came out absolutely spotless! I’m really impressed by what they can do! If you are too, then please check them out. If you’re in the Washington, D.C. area then I hope you’ll contact Hayden. You can take a look at her Tot Squad website or contact her and her team here. Not in D.C.? That’s okay! 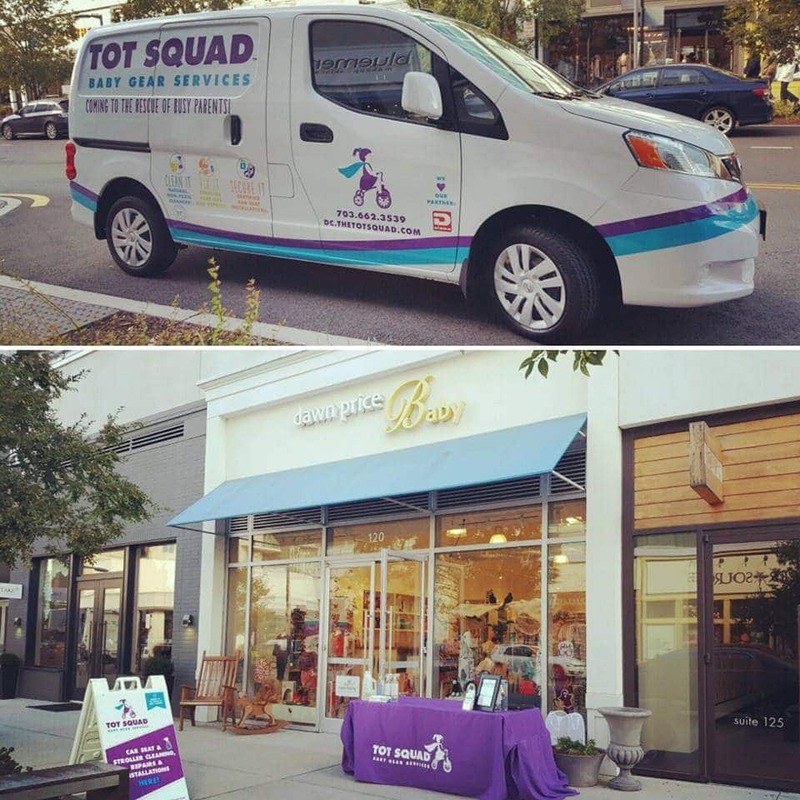 Tot Squad is located in a few other places too! Not in any of these? There are still options – Click here. I’m so excited there’s a Tot Squad near me! Please comment below and let me know what you think. If they don’t have a presence in your area, maybe they’ll open one soon. I’m so excited to share that Hayden from Tot Squad in the Washington D.C. area has offered all local moms a chance to win a FREE Lotta Love cleaning! If you live in the D.C. area (Maryland, D.C. or Virginia), or know someone in the area who might like this as a gift, then please enter this giveaway! The winner will receive a credit for a Lotta Love car seat or stroller cleaning! 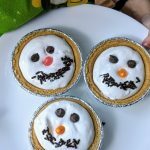 By entering this giveaway, you agree to join The Analytical Mommy newsletter. As a subscriber you’ll get access to my Resource Library, and you’re welcome to unsubscribe anytime after the giveaway ends. The winner will have 48 hours to accept the price once they are contacted. If the first winner does not confirm in that period, they forfeit the price and a new winner will be selected. The winner will be announced via my newsletter once a winner is selected. The giveaway widget will close on 11/30/2016 at 12AM and will be used to select a random winner. Good luck! Hint: You can gain extra entries by picking one or more of the additional entry options after you sign in! Widget won’t load? Click here to enter the giveaway! 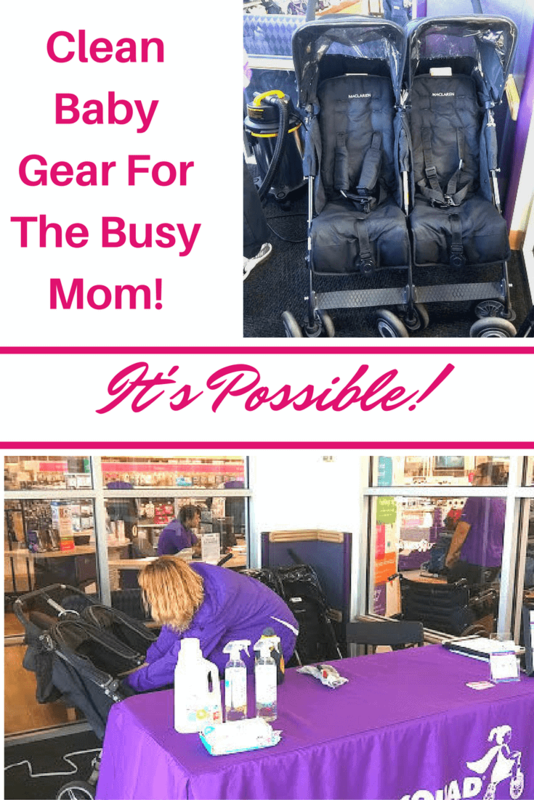 NextUltimate Gifts For Mom – A Gift Guide For Real Moms! Scrubs not cutting it? 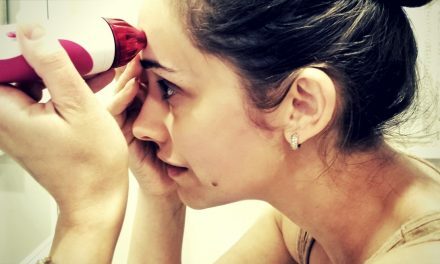 Try this to reveal softer more radient skin from your home! 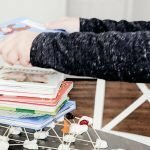 The Secret To Transitioning from A Swaddle Blanket – A Magic Sleepsuit® Review & Giveaway! I think I read about this in the NYT last week. Such a smart idea. My son has vomited in his car seat numberous times and I know we could use a thorough cleaning!! Lord knows I could use this service on TONS of items we have!! Such a fantastic idea! I hope this idea spreads around the country. Oh my goodness!!! What an awesome service. I’m checking to see if there is one near me immediately. Not only would I love our carseats cleaned, bit our double stroller needs it too. OMG! This is amazing! I wish I found out about them sooner! Thank you for doing this post! Ha! Well if you’re local (in the DC area please check back soon! We might have an exciting announcement …! I would definitely use their services!! What an awesome idea!! OMG if you could see my carseat and stroller… disgusting!! I would love tot squad to clean mine! What an great service! Nothing like that when mine were little. Wow that is an amazing idea for a company! The need is definitely there. Okay, this is pretty much the most genius service I have ever heard of!!! How cool! I NEED this. haha I’m surprised I’ve never heard of it before! Saw your post on GJF, glad to see a blogger covering DC! Thanks so much for coming to check it out ! Gosh, tell me when they get to Florida because our seats can use a little TLC! i was so in need of this. thanks for such a great product idea and hope to win it. im due in less then 80 days and would love to win this for my baby girl 🙂 also gonna be sharing with my fellow mommies and mommies to be! Wow that is a really cool idea for a company! I don’t live in DC so I can’t enter the giveaway, but sounds really neat. Congrats to the winner! Car seats are so hard to keep clean! You have some great points and ideas!